Perhaps we shouldn’t begrudge Pixar for making what is essentially just a kids’ movie. Lots of studios have made just kids’ movies. But Pixar has set the bar so high on animated storytelling (“Up,” “The Incredibles,” the whole “Toy Story” franchise) that this latest effort seems like an afterthought, a tossoff, an indifferent screen filler. The first “Cars” was no great shakes. Oh, it featured brilliant animation, but the story of a vain race car stranded in a podunk desert burg was pitched to the sensibilities of an 8-year-old obsessed with collecting tiny toy cars…and perhaps to grown men who mentally and emotionally never advanced much beyond that age. The John Lasseter/Brad Lewis-directed“Cars 2” finds speedster Lightning McQueen (Owen Wilson, sounding so subdued you wonder if they put something in his food) hitting a series of international Grand Prix races in the company of Mater (Larry the Cable Guy), his not-very-bright tow truck sidekick. On one level it’s about Lightning’s rivalry with an Italian race car (John Turturro). But the real story offers a kind of parody of early James Bond films, with our heroes being recruited by a British secret agent (a sleek sports car voiced by Michael Caine) on the trail of a gang of bad guys. Gradually the weight of the narrative settles on Mater, who is mistaken for an American agent — the professional spies conclude that his bumbling hick persona for a brilliant false identity. 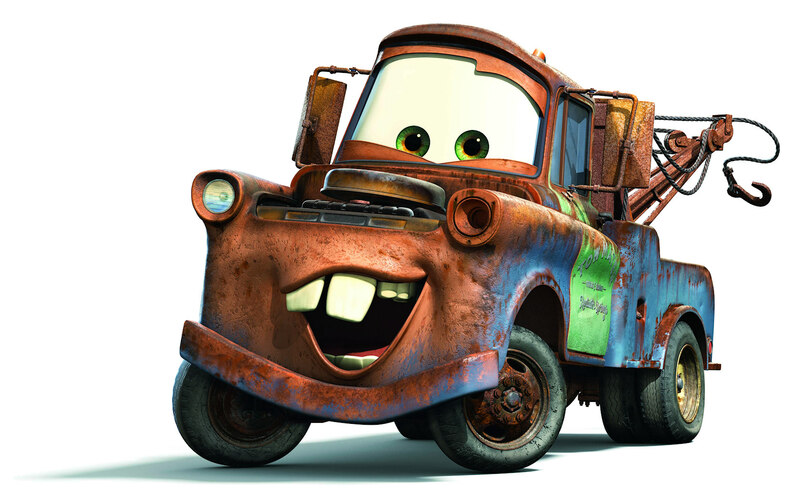 I suppose that’s fine if you’re a fan of the character, but I find Mater dumb and unfunny…which made “Cars 2” very rough going. From a technical standpoint the film is state of the art…which for a while at least distracts from the overly complicated plot. The artists’ CG renderings of Tokyo, Paris, the Italian Riviera and London are quite magical and the action sequences are masterfully rendered. There are a couple of moderately clever ideas here, especially the “casting” of discontinued and notoriously unsuccessful car models like the Gremlin as the bad guy’s minions. The film also explores the tension between oil and green technologies…though that seems more like an afterthought intended to lend substance to an enterprise that at best aims for easy going fun.